EVERETT – In an effort to begin laying the ground work necessary to elevate hockey within the region, officials from the Everett Silvertips, Global Spectrum, management for Comcast Arena, and Everett Youth Hockey (EYH) held an organizational meeting on Thursday evening, August 1. This first of many meetings helped achieve synergy and began the process of bringing the strategic alliance to life. With a common goal to produce the highest level of hockey possible in Everett and the surrounding areas, key representatives from each organization identified critical focus areas needing to be addressed in the coming weeks to set the conditions for success. Finalized at the meeting was a full EYH Board of Directors consisting of representatives from each party involved in the administration of the program. Overseeing this group is Silvertips General Manager Garry Davidson, who will be supported by Silvertips Executive Vice President/Assistant General Manager Zoran Rajcic and Comcast Arena Assistant General Manager Rick Comeau. Newly-appointed EYH General Manager Jerry Weir will head up day-to-day management of the program. Assisting Weir will be Director of Hockey Operations Christopher Raub, Director of Recreational Coaching Bill Kern, EYH Booster Club President Gary Gusinsky, Secretary & Treasurer Jaimi Traub and a Director of Player Development who has yet to be named. A common theme at the forefront of Thursday’s discussion was the need for coaches. EYH currently has a great need for qualified volunteers to submit their applications to ensure the selection process can be completed in time to assign the appropriate number of coaches across all levels of play. Even with coaches already identified for the Tier II Peewee and Bantam ranks, EYH requires over 30 coaches to meet the demand of player registrations. If you are interested in being a volunteer coach, CLICK HERE to view the 2013-14 EYH coaching applications via the Jr. Silvertips website. 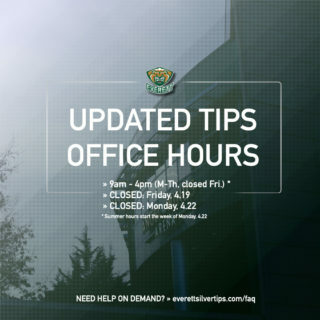 Please take the time to complete and return the application at your earliest convenience to the Comcast Community Ice Rink (CCIR) front counter or the Everett Silvertips office. EYH will accept coaching applications through Wednesday, August 14 for all Recreational/House teams. The process to be fully credentialed and allowed to take the ice has grown since last season and requires immediate attention from all applicants to ensure they are ready to coach from day one, without exception. 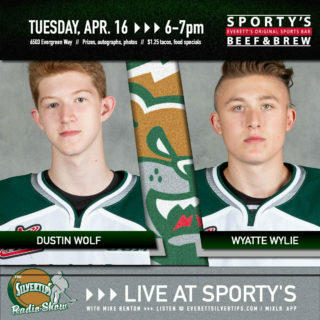 Going forward, the commitment of the Everett Silvertips will be demonstrated through each Silvertips player adopting an EYH team. 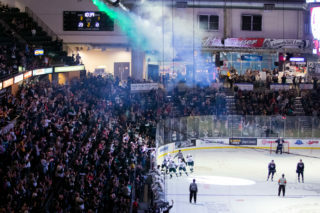 This relationship with the team will include Silvertips players joining the youth team at practices and showing support at their adopted teams’ home games when their schedule allows. 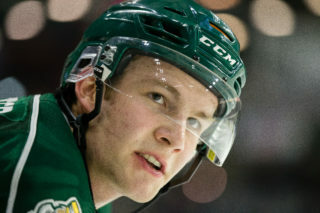 Most importantly, Silvertips players will mentor young participants on what it takes to achieve success in hockey at the Western Hockey League (WHL) level and beyond. 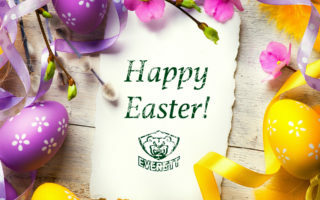 Additionally, the Silvertips’ coaching staff will assist EYH teams with overall hockey instruction and share general coaching philosophies to help coaches learn the finer details of coaching the sport of hockey at a high level. For its part, the EYH staff will dedicate itself to preparing coaches for success by providing the necessary structure and training to achieve proficiency and build confidence, thus fostering an environment for all players to achieve their highest potential. The focus will remain on growing lifelong players and fans of the sport of hockey in a fun-filled, safe environment for all players and their families. EYH would also like to announce tryouts for the 2013-14 Midget Jr. Silvertips Tier II team, which will take place in just over two weeks. Three tryout sessions will be held: Tuesday, August 20 at 7:45 pm, Wednesday, August 21 at 6 pm and Friday, August 23 at 6:30 pm. Cost is $60 per player to try out. Player evaluations for recreational teams will commence the week of September 3. Come be a part of the excitement and help us take youth hockey to the next level at Comcast Community Ice Rink & Comcast Arena! Get your coaching application in today and register your young players for the 2013-14 season of Everett Youth Hockey! The Silvertips are currently preparing for our 11th year in the WHL. Season tickets and mini-game packages for the 2013-14 WHL season are available now at the team office. Call 425-252-5100 for more information. To keep up with all the latest team news, “like” the Everett Silvertips Hockey Club on Facebook or follow @WHLSilvertips on Twitter.